Khotto is nothing but Idlis, but the idli batter is steamed in jackfruit leaves which makes it quite distinct in taste and look. The jackfruit leaves add wonderful aroma to the khottos and I quite like the flavor and taste of it. 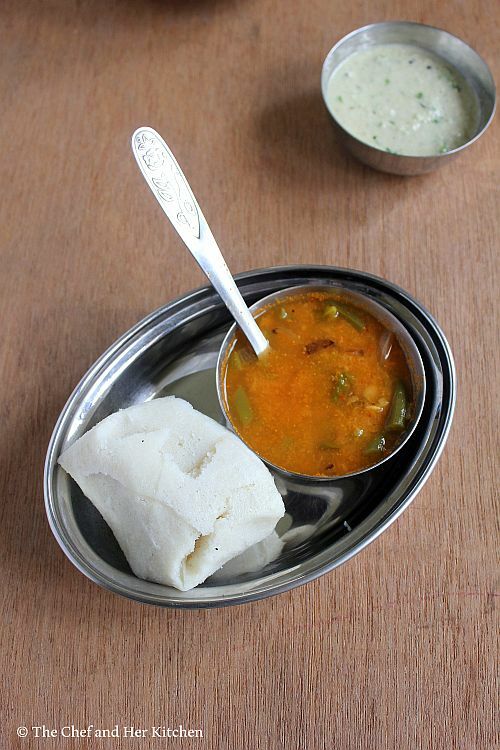 'Khotto' is also known as 'Kottige' and it is called as 'Gunda' in Konkani. 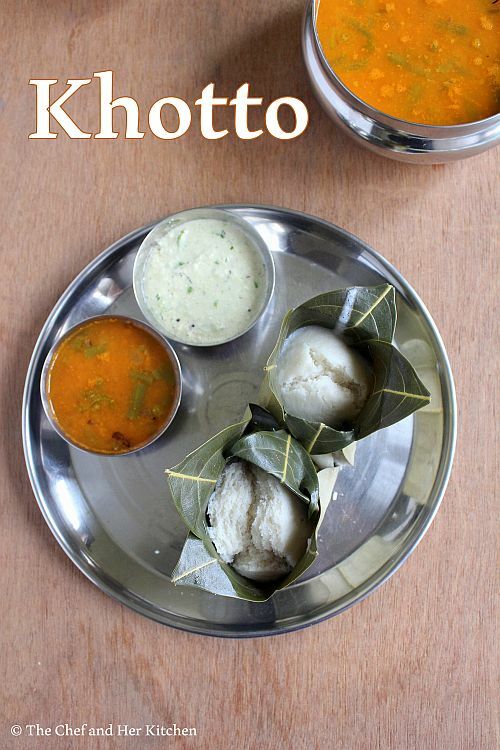 Khotto is speciality of Coastal region of Karnataka and is usually served in the hotels for breakfast, it is usually paired with chutney or sambar for vegetarians and with spicy chicken gravies for the non-vegetarians.I have tried this a couple of times in the hotels when I visited Mangalore few years back and also in few breakfast joints in Mumbai.I never got to try it at home as I could not get jackfruit leaves here in Mumbai. During one of those usual chats with my mom about cooking I casually mentioned about it and my mom promised me that she will procure these leaves for me when I visit her.During my last visit to Bangalore as promised by her,she made sure that I got my hands laid down on those beautiful aromatic leaves.As I was preparing the baskets for the first time I was very much excited to prepare these basket idlis for our breakfast.I could not find any sticks at home to prepare these baskets but that did not stop me from trying it,I stapled the baskets instead of using sticks.I made sure that the pins would not come in contact with the batter while steaming but still I would not recommend you to try stapling it as it is not safe and definitely use sticks to make these baskets.I find the toothpicks are too thick to use and also its difficult to find the old kind of broom stick these days hence the best option to use is the dried sticks of the curry leaves which is easy to find everywhere.Now on to the recipe. 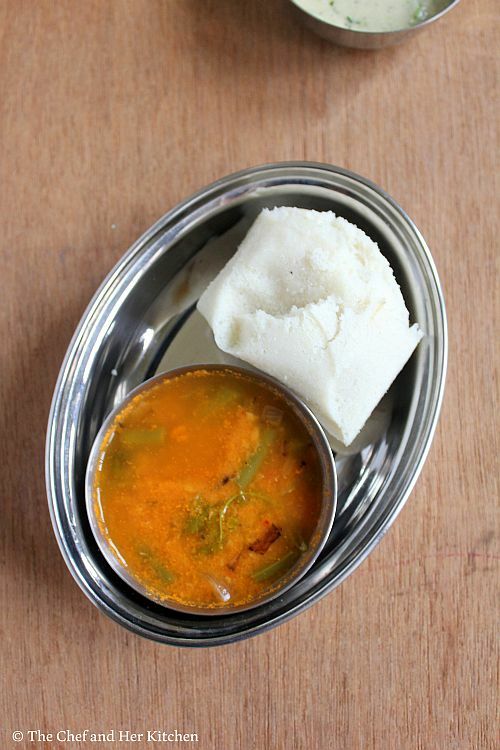 Soak rice and urad dal separately for 3-4 hrs.If you are using Idli rava soak it for just 1 hr before grinding. Wash the urad dal and grind to a fine batter in the wet grinder/mixie and remove it and keep it aside. 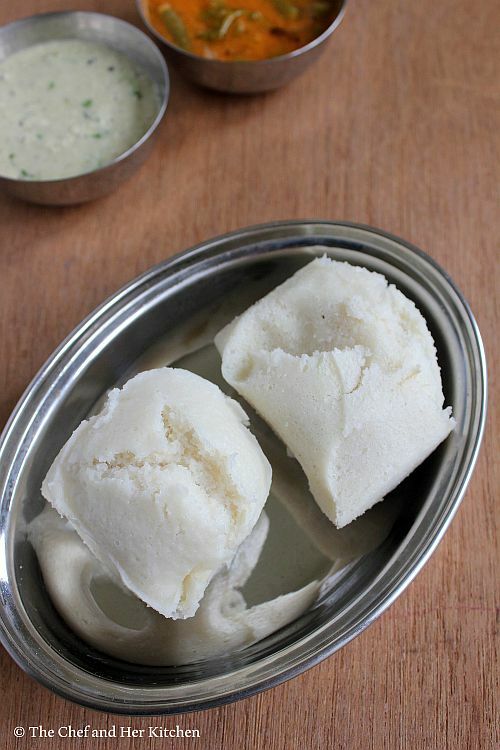 Now grind the idli rice to a slight coarse batter,the consistency of batter should be like slight rawa textured batter.If you are using idli rawa,squeeze the idli rava and add it to the ground urad dal and grind for 5 minutes.Keep the batter thick and do not add much water while grinding. Add this to ground urad dal batter and mix well and add enough salt and let it ferment for 12-14 hrs. Take four equal sized jackfruit leaves and place two leaves with the corners(not the stem side) slightly overlapping on each other and join them with a piece of small stick.Now place the thrid and fourth leaf and again join them at the edges with the help of the sticks.The picture will give you a better idea. Now fold the corners(stem side corners) such that the side edges of the leaves overlap on each other and leaves no gap in between, pin the overlapped portion carefully so that there would not be any leakage of the batter while steaming.Repeat for all the edges and pin together to form a basket.See the pictures for better idea. Repeat and prepare all baskets. Pour batter until it covers 3/4th of the basket and place the baskets carefully in the steamer or cooker(without whistle) and steam the khottos for 15-20 mins. While steaming do not try to overcrowd the steamer with baskets but make sure that there is not much gap in between them. While opening tear the leaves carefully so that the khotto can slip out of the basket without getting stuck to the leaves and loose its shape. 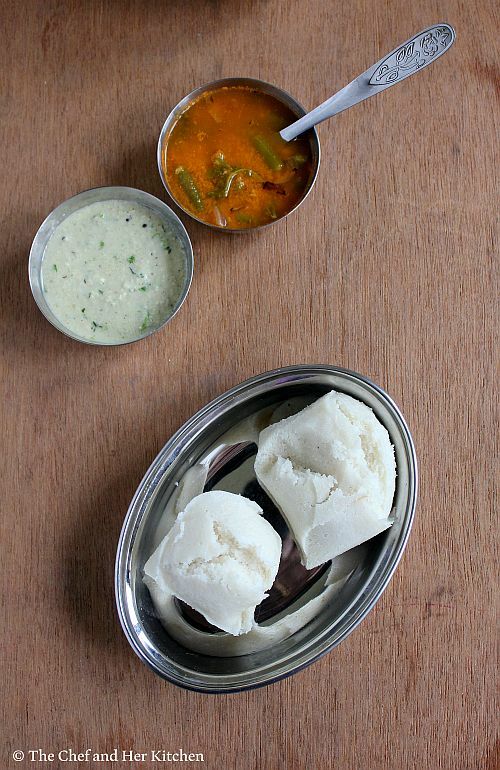 Serve them hot with Coconut chutney,Sambar or any spicy gravy. 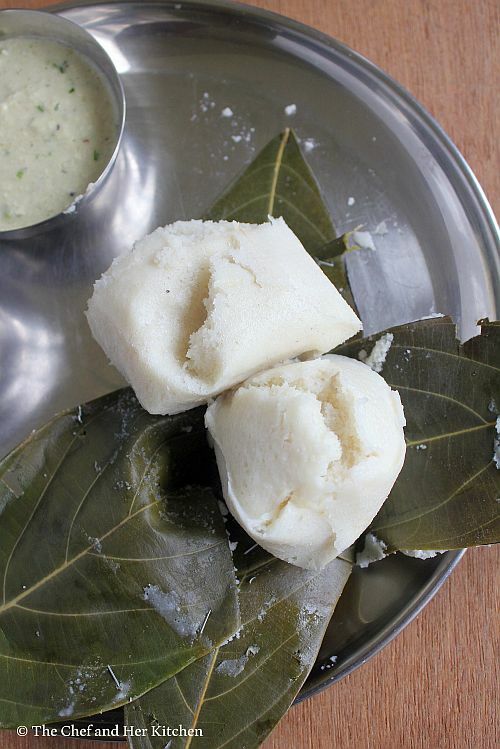 You can use your idli batter to prepare these khottos. If you do not find jackfruit leaves you can try with banana leaves, but that gives a different aroma and can not be substituted with jackfruit leaves.It is just for a change. Do not overcrowd the steamer with the baskets while steaming but make sure there is not much of gap in between the baskets. 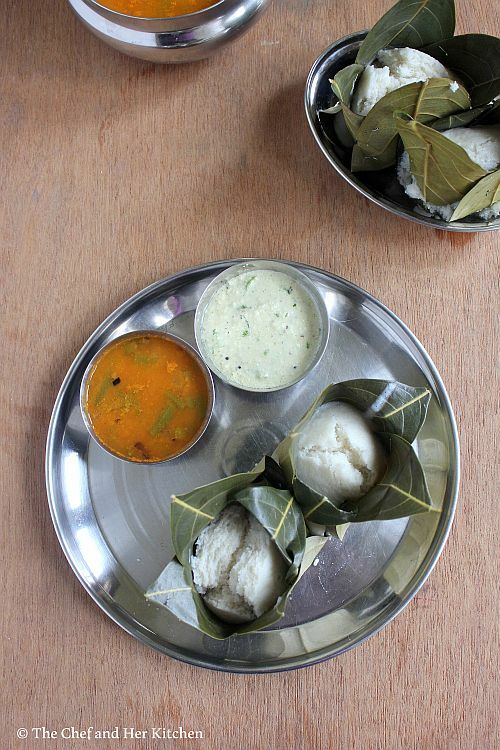 Thanks Prathy, My amma had to have Kotta on certain festivals, and in Bombay there were 2 places in Matunga where the jackfruit trees grew, she would take my brother and make him pull out some leaves to make the kotta, oh ya those wooden pins, it was brought in plenty from mangalore, there is another version made in the screw pine leaves called Moode. After cooking the idlis, the leaves were lunch for the cows. Everything was recycled, no garbage bins in the villages. 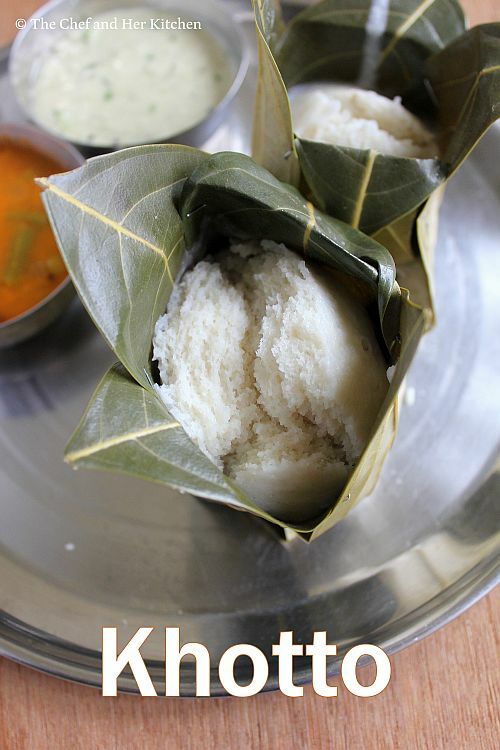 This is also made in Andhra Pradesh where is called Panasa Butta Idli - Idli made in Jackfruit leaves basket. Ths vishakapatnam region of Andhrapradesh is famous for it.